Samir’s career with Alghanim spans over 25 years, during which time he has managed multiple and diverse groups within the organization including Automotive, Engineering, Retail and FMCG. 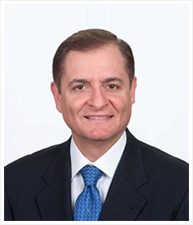 Prior to joining Alghanim Industries, Samir was with General Motors of Canada Limited, where he served in several management and technical positions related to design engineering, sales engineering, manufacturing and quality control. Samir has an MBA from the Ivey School of Business, University of Western Ontario, Canada and a Bachelor’s degree in Electrical Engineering from the GMI Engineering & Management Institute, Kettering University, Michigan, USA. He is also a graduate of the Advanced Management Program (AMP), Harvard Business School. Holger has over 18 years of work experience across different levels of leadership roles. 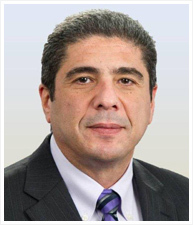 He has worked with General Electric across the company’s global financial services and industrial divisions, including his recent role as the President and CEO of Inspection Technologies at Baker Hughes, a GE Company. Prior to this, Holger has served as CEO of Mubadala GE Capital PJSC, CEO and President of GE Money Bank Russia, Management Board member at GE Money Bank Germany and Vice President of Global Strategy at GE Capital. Holger brings years of C-level and senior leadership experience in different areas such as financial, commercial, and strategic in groups such as GE, PricewaterhouseCoopers, Daimler AG, and Bayer Corporation USA. Holger holds an MS in Industrial Engineering from the Technical University of Berlin and an MBA with Distinction from Harvard Business School. He was also a Graduate Research Scholar at Massachusetts Institute of Technology (MIT). 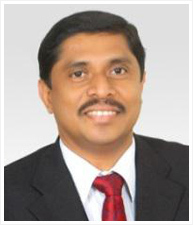 D Raju's career with Alghanim Industries spans over 15 years, during which time he has held a number of management positions with the Kirby Building Systems India Group. D Raju is now leading the Kirby International businesses. D Raju possess nearly 30 years of experience and in-depth technical knowledge of the PEB industry and was instrumental in the successful order booking and execution of complex and large projects such as the Renault-Nissan factory, Bangalore Metro, MRF Ltd. and JSW-Toshiba. D Raju has a Civil Engineering degree and MBA from Osmania University in India, and holds the title of Chartered Engineer from the Institute of Engineers - India. James has over 28 years of experience in the field of pre-engineered steel building manufacturing, during which he has held a number of management positions. Most recently, he served as a consultant to various international General Contracting companies developing business strategies to roll-out steel construction technologies across Africa and parts of the Middle East. James was appointed as General Manager - Operations at Kirby Building Systems – MEA in 2012. Prior to joining Kirby, James worked in the PEB industry in various parts of the world such as the Kingdom of Saudi Arabia, the United States of America, Southeast Asia and China. He holds a Civil Engineering degree from the University of Toledo, USA. Anup has an overall work experience of more than 31 years in the metal industry in different fields such as Management, Sales & Marketing, Engineering Design & Production Technology. He has worked in different countries including India with each of them having different culture and work environment. He has extensive experience in production management and specializes in innovation and continuous improvement processes. He always considers the customer as the centre and stressed workforce training as a method to help develop a sustainable company. Prior to joining Kirby Building Systems, Anup has worked with the aluminium rolling industry, rolled steel coil aluminium and steel industries. He has a Bachelor’s Degree in Mechanical Engineering from University of NIT, Raipur and MBA from Manchester Business School, UK. 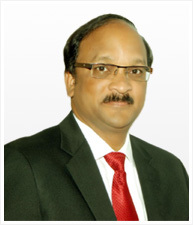 P V Mohan has an experience of more than 26 years in the field of supply chain, operation excellence, purchase, etc. He also has hands on experience of setting up new facilities and is a very techno-commercial person. He joined Kirby India in 2005 as General Manager – Supply Chain and has also served as Project Director – SAP and Director – Purchase. 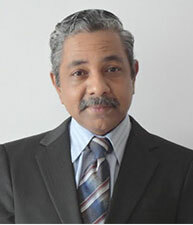 Prior to joining Kirby India, Mohan worked with Voltas India Ltd and Tata Group from 1988 to 2005 across various positions. He holds a Bachelor’s Degree in Production Engineering from Marathwada University and an MBA in Marketing from Allahabad University, India. Philipose has over 23 years of experience in pre-engineered steel building, steel colour coating and engineering industries. 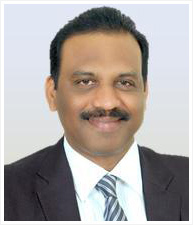 He joined Kirby in India in the year 2000 as Deputy General Manager – Manufacturing and was subsequently promoted as Director - Manufacturing, Hyderabad plant. Prior to joining Kirby, he has worked in pre-engineered steel building companies in the Middle East in various positions related to Production, Quality Assurance and Building Erection. He holds a Bachelor’s Degree in Mechanical Engineering from Karnataka University, Dharwad, India. Raj Sekhar has more than 30 years of experience in the field of Structural Engineering. He joined Middle East & Africa operations in the year 1994 and was associated with all the units of Kirby by extensively working in Kuwait, Vietnam and India and has held positions of increasing responsibility in the engineering department over these years. He is now leading the Kirby International Centre of Engineering Excellence for Kirby worldwide operations. Prior to joining Kirby, Raj has worked with leading consultants, steel contracting firms and in oil & gas sector in the Middle East. He holds a Bachelor’s Degree in Civil Engineering and Master of Technology in Structural Engineering from Indian Institute of Technology, Madras.